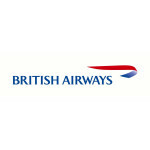 British Airways has released new Club Europe Business Class fares for routes centred on London’s Gatwick Airport. These are not ‘sale’ fares as such; currently they’re loaded for extended travel periods and with no published booking deadline. They do however require a Saturday night stay and utilise fare code IEULGWUK. Connections are permitted, though stopovers in excess of 24 hours are not allowed. The cheapest fare is from Gatwick to Barcelona at £182 return, and members of the British Airways Executive Club can save up to a further £30 on these fares by redeeming up to 4,500 Avios. Unlike the majority of other Avios redemption opportunities, using Avios in this way does not affect the eligibility of the fare to earn Avios, Tier Points or indeed British Airways OnBusiness SME loyalty programme points. Members of the Executive Club who are seeking to maximise the Tier Point earning opportunities of these fares may wish to look at originating in the Channel Island of Jersey. From there, a fare of £321.88 return is available to Amsterdam. With the application of the maximum Avios discount of £30, a net fare of £291.88 is possible, earning 160 Tier Points round trip – or £1.82 per Tier Point. Without the discount, the cost per Tier Point is £2.01. Alternatively, a fare of £470.95 from Jersey via Gatwick to Malta is available. This fare attracts the possibility of achieving a greater Avios discount – £50 for 7,500 Avios – and earns a round trip total of 240 Tier Points. The earning rate is therefore £1.75 per Tier Point when the Avios discount is maximised. If a pure lowest cost per Tier Point opportunity is the aim, then Gatwick to Malta, with the maximum Avios discount, comes in at £198.24 return. Earnings of 160 Tier Points make the rate £1.24 per Tier Point. 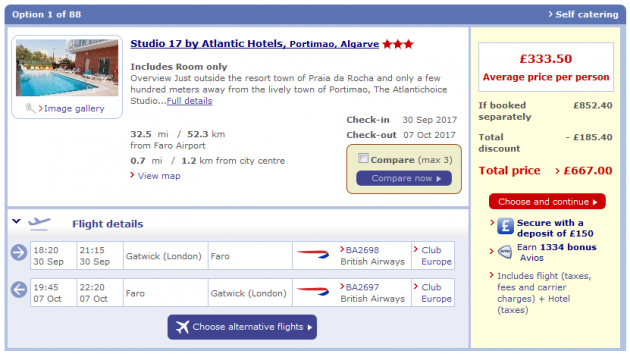 There’s no specific ‘sale’ page on the British Airways website for these fares, and so once again the BA Low Fare Finder at ba.com is the best route to locating availability and booking.